I spent the day trucking about, so I barely have energy left for admiring the blossoms climbing up that little apple tree. Who cares if it fruits? These are pretty enough. 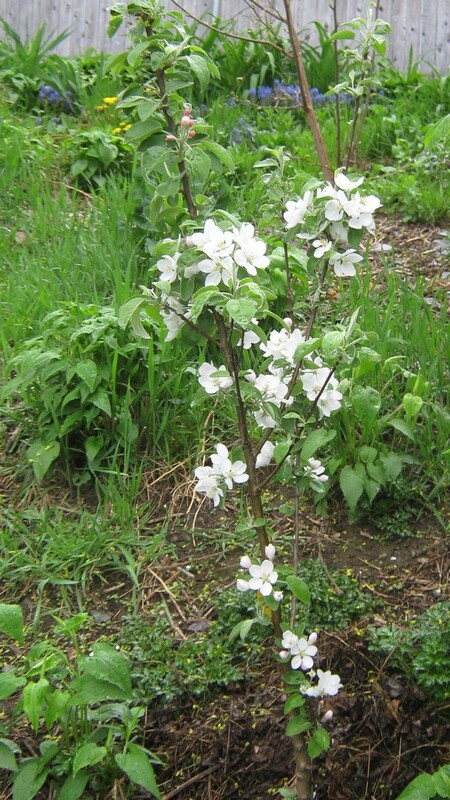 Sleep and grow well, little apple tree.